From bottom to top and back down again, the Mount Marathon race trail changes after each pair of feet treks through. There is no set trail, with runners and hikers deciding between cliffs or roots, left or right, snow or scree. Come race day, conditions for the roughly mile-long climb to the turnaround point and the subsequent controlled fall down can make or break a course record. 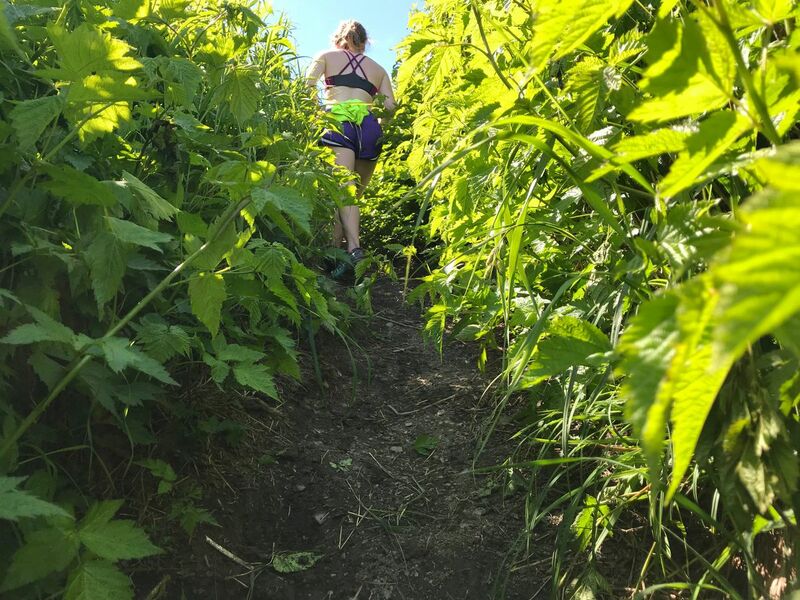 As the 91st running of the race approaches, Seward's famous mountain is full of contrasts. Despite predictions of 70 degrees and sunshine for Wednesday, there is still a chute of snow at the mountain's summit, and despite a wet, slippery stream bed in the gut of the mountain, the top half is dry and dusty. Seward had a wet and stormy spring, which left the trail muddy and felled a few trees. Most notably, a large, gnarled tree in the wooded area known as Squirrels Inn toppled. All of the limbs and brush have been cleared, but the monstrous tree now divides the trail in two, adding another choice to make when hiking through — left or right. The fallen tree is the only remnant of the mountain's wet spring. With summer came sunshine and warmth, enough to dry out the trail, leaving only a few slick muddy spots during the climb up. The sunshine also spurred a lot of growth, with brush and wildflowers growing tall and tunneling the ridgeline hike until the Junior Pole. At the trail's halfway point, the Junior Pole marks a transition from brush and dirt to rocks and more rocks. Several well-worn paths are clear on the climb up, presenting more choices. The scramble atop the scree to the summit is full of loose rocks that could turn to falling rocks if they're knocked out of place. The different trails to the top are clear, though, and free of too many larger rocks. There is a large rock at the summit marking the turnaround point for adult runners. On Sunday, a few wayward hikers were spotted there and plenty more are expected Wednesday. The turnaround point marks the start of the downhill portion of the race trail and presents challenging choices for runners. One is to start with a cold slide along a snow chute. The snow is far from fresh, with a distinct trail worn in the middle down to the shale. There are a couple other less-worn trails, and even more should open up after some brave racers hit the snow Wednesday. Runners could attempt to glissade down the long stretch of snow, but it won't be a continuous icy ride. The snow patch, which measured several hundred feet long Sunday, has melted more quickly in several spots, leaving wide gaps revealing the rocks below. Between the holes, the heat and increasing traffic, hitting the snow will be a speedy but risky option on race day. Some portions of the snowpack soar above seven feet, and the entire thing culminates in a drop-off much steeper than Mount Marathon's slope. After the snow patch, or for those avoiding the snow altogether, the steep downhill slopes are full of loose rocks. The sun has softened the shale, which may be kinder on a runner's knees but leads to more tumbling rock hazards. The soft shale brings runners to the Junior Pole and beyond into the chute, an open area made dusty by warm weather. From there the race trail leads into the gut of the mountain, a slippery stream bed full of large, wet stones and running water. Racers should expect to transition from the dusty chute into the slow-flowing water of the gut. Larger, sturdy rocks provide good steppingstones for those sprinting through the gut, but it'll be nearly impossible to keep socks dry. From the gut, you are back to making choices. The trail leads down to the road via the switchbacks, cliffs or roots, which are all safe options thanks to this summer's uncharacteristically dry weather. 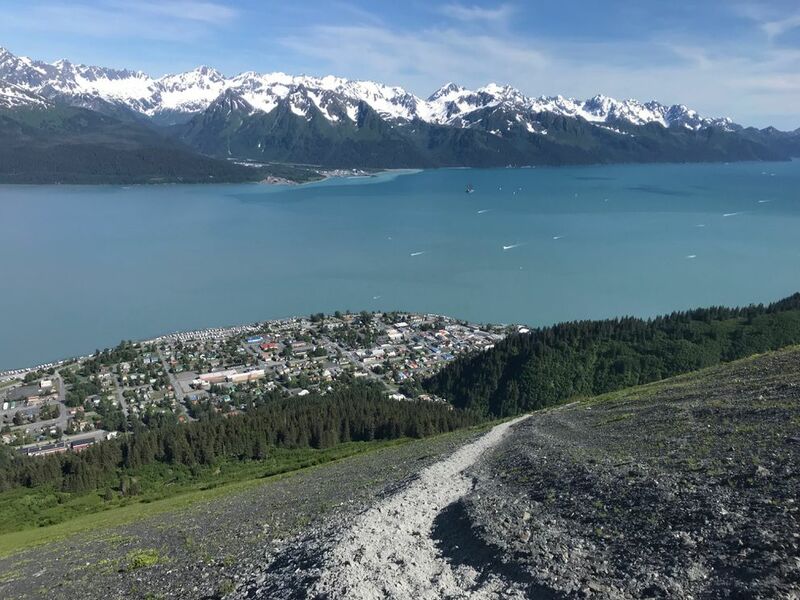 As for the final leg of the race trail, along the street to Fourth Avenue finish line in downtown Seward, racers should expect a wave of cheers and celebrating crowds. Kat Sorensen is a writer who lives in Seward. She can be reached at katsorensen.nj@gmail.com.